The new semester is here, Matadors. Weekday classes start Jan. 22. Saturday and Sunday classes begin Jan. 20-21. Jan 12: Spring 2018 financial aid balance checks mailed or deposited via eRefund. Jan. 21: Final day for nonrestrictive registration – maximum 17 units. Jan. 22-Feb. 9: Adjust schedules (add, drop, etc.) online. Jan. 22-28: Wait-listing continues through Sunday. Permission is not required to add classes (except for restricted classes). Jan. 29-Feb. 9: Permission is required to add ALL classes. Wait-listing is not available. Feb. 9: Last day to add with permission, drop, or change grading basis (CR/NC) using online, self-service registration. Feb. 12-16: Formal approvals are required using 4th Week Change of Schedule Petition. Feb. 16: Last day to file Fourth Week Change of Schedule Petition – before 4 p.m. A grade of “W” will be issued after this date. March 14-15: GradFest 2018 – CSUN Campus Store Complex. Graduating Matadors make sure to attend GradFest 2018 to receive latest news about graduation, guest tickets, take a free portrait and more. March 19-25: Spring Break – no instruction. March 30: Cesar Chavez holiday – campus closed. May 11: Last day of formal instruction. May 25: Instructors’ grades due. Last day of 2017-18 academic year. May 28: Memorial Day holiday – campus closed. For fun events happening each week, check out our “Happening @ CSUN” post on Snapchat and Instagram stories every Monday. 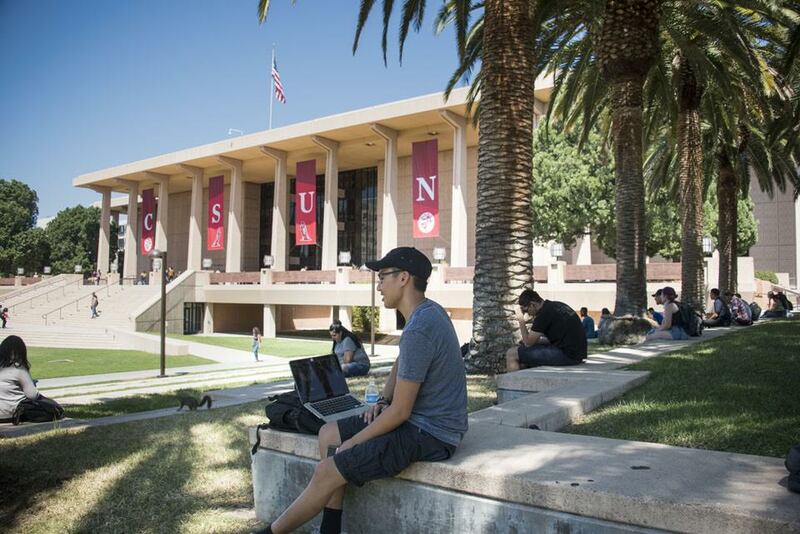 For more information, please visit https://www.csun.edu/admissions-records/registration-calendar.